Life of Pi is based on a popular book of the same name but the less you know about it going in, the better off you will be. Yes, it is about a boy who ends up shipwrecked with a Bengal tiger, but it also explores big questions about spirituality and life and death. Even if you don’t appreciate the hippy-dippy-cosmic stuff, Life of Pi is worth it just for the visual spectacle. Director Ang Lee incorporates ground-breaking CGI which will leave you CONVINCED that tiger is for real. It is being compared to “Avatar” because of its 3D technology, but I liked Life of Pi even more than that earlier film. Sorry but I still haven’t forgiven James Cameron for dumping Linda Hamilton. What a jerk. I do have some minor gripes about the ending and was annoyed by the writer interviewing Pi throughout the movie, but it was all completely overshadowed by the pure beauty of this film. 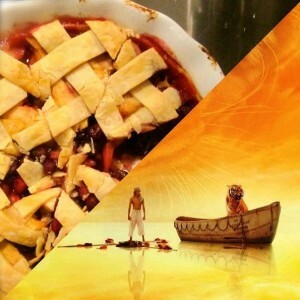 That’s why I have to give The Life of Pi an A+. We cannot resist a good pun. So, of course we are pairing Life of Pi with a delicious and also visually stunning apple cranberry pie that is the perfect dessert for any holiday meal. 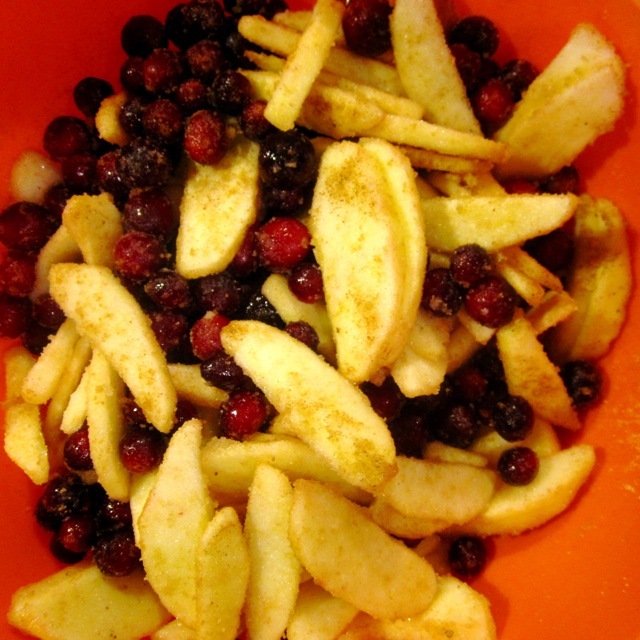 In a large bowl, stir together all ingredients (excluding pie crust dough). Toss and stir to make sure the apples and cranberries are evenly coated as possible with all other ingredients. Roll out 1- 9″ pie crust and carefully place into a 9″ deep dish pie plate sprayed with non-stick cooking spray. Spoon the mixture into the dish. 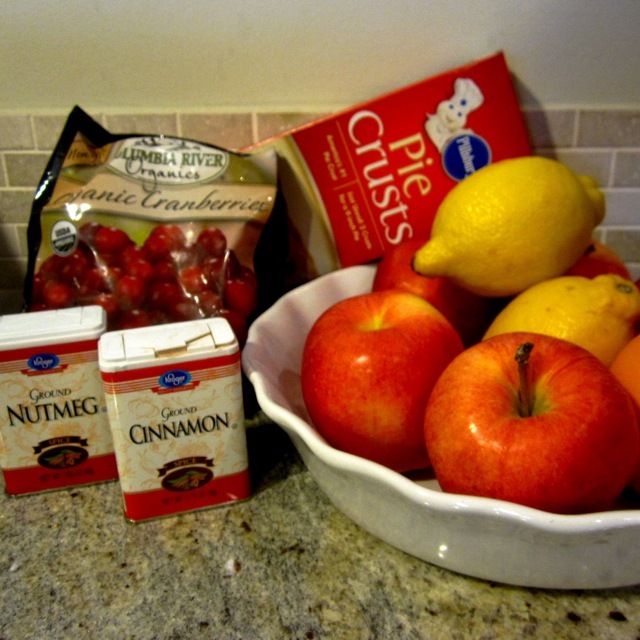 Roll out the other pie crust and slice into strips. 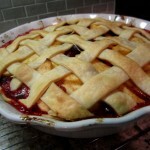 Carefully create a lattice over the top. 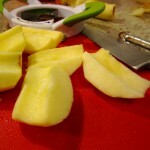 Trim edges and brush crust with egg wash.
Bake in oven, uncovered for about 20 minutes to get the crust nice and golden. Then cover and cook an additional 25-30 minutes, or until apples are nice and tender.